This set began with a deep jet black base. 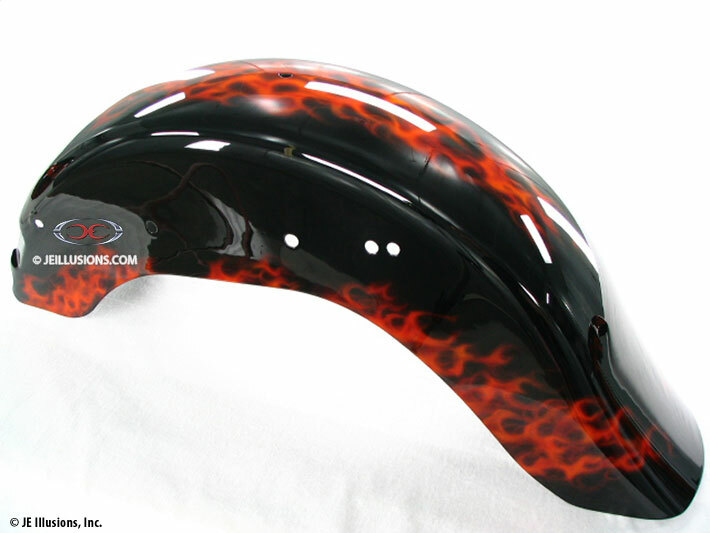 Each lick of fire was hand airbrushed down to every ember. 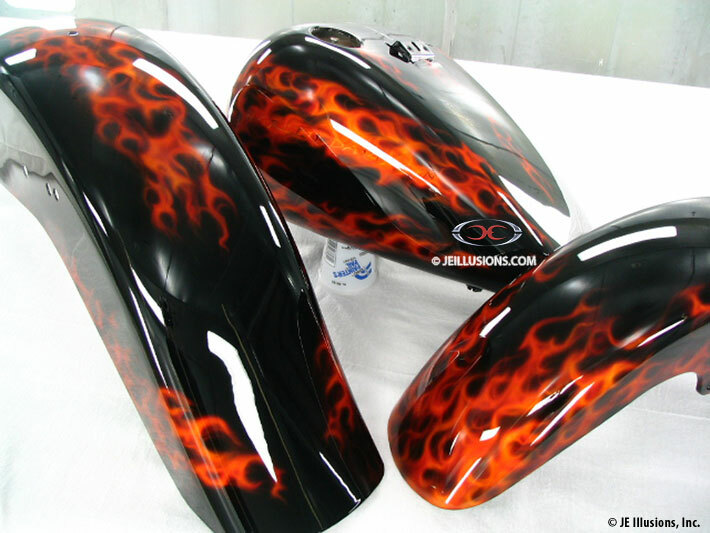 Custom coats of varying shades of kandy coats were sprayed to give this set a moving fire effect.